From world-class Central Otago Pinot Noir, to the classic Sauvignon Blanc's of Marlborough, you can serve yourself and compare different wine varieties and styles from throughout New Zealand. With the simple push of a button you choose the wines to enjoy by either a taste, half or full glass. Relax, take your time and taste the best New Zealand wines in one place. The Winery is Queenstown's in-town cellar door and the ideal place to try before you buy. Over 700 wines can be enjoyed by the bottle in the comfort of the wine lounge ($10 corkage per bottle). With our guaranteed delivery service we can ship the wine you purchase from us to over 30 countries. For those who appreciate a "wee dram" there are 8 whiskies for tasting - you can taste New Zealand's rare Single Malt Whiskies alongside Scottish and Irish Single Malts. We stock an extensive range of premium spirits from New Zealand and around the world. Our knowledgeable staff can guide your tasting and will assist with all your whisky, spirits and merchandise needs. Come and taste the best honey in New Zealand including the world renowned Manuka honey - Natural, Pure and Healthy! Working with carefully selected New Zealand honey producers, The Honey Hive specialises in premium quality manuka honey. 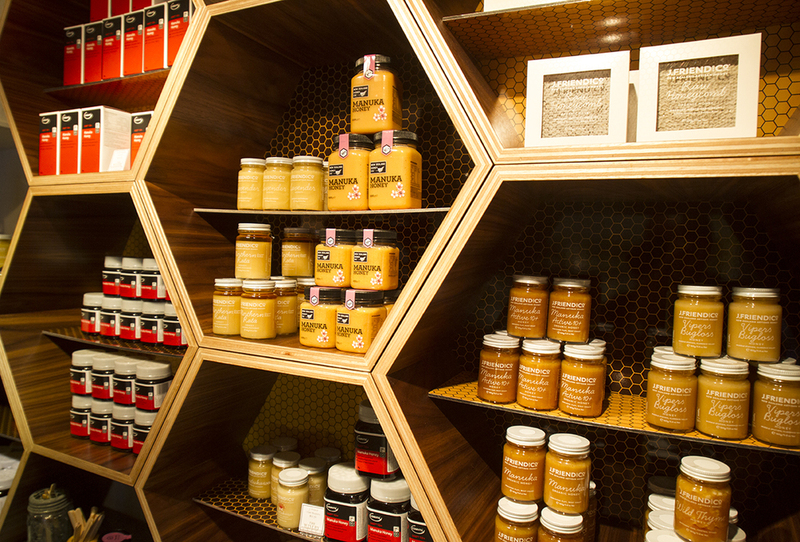 Our boutique producers source single vareital honeys directly from artisan beekeepers.